Pantry cabinets are a must-have for a small kitchen, like in an apartment or a condo. I live in a small apartment that has very little storage and didn’t have enough cupboards to hold all my dishes, spices, appliances and food, so I bought some pantry cabinets to help clean up my space. I had tried using open shelving units, and they can be a great solution, but my kitchen always looked messy and I wanted to keep everything behind closed doors. And on top of that, in the winter I saw a mouse and knew I had to find a better way to store things like cereal and pasta. Not having the money to outfit your kitchen with all new cabinetry isn’t rare. That is one of the biggest projects you can take on in home renovation, and if you are renting it just isn’t worth it. Sometimes you just want a quick, easy solution. Pantry cabinets make updating your kitchen easy and affordable. 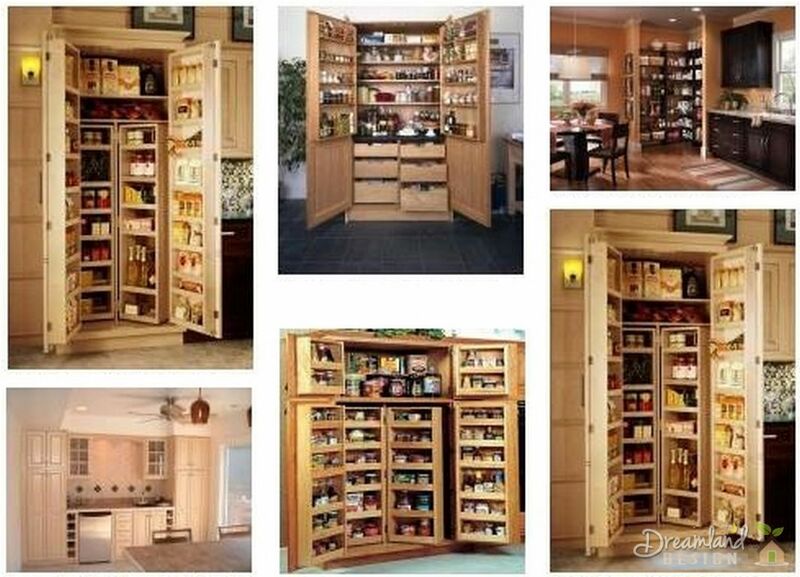 You can find many styles of pantries. There are large, wardrobe-sized closets and there are smaller counter-height cupboards. Generally there are options for both in one style, so you can buy a few things to fit in your kitchen. Counter-height pantry cabinets have the added bonus of adding more counter space along with the pantry space. When I added pantry cabinets to my kitchen, I purchased this size so I would have a nice surface to put my espresso maker on, next to my stove. And then I put all my coffee accoutrements inside the pantry, making my kitchen cleaner and more organized. Since you can buy affordable pantry cabinets and stores like Walmart or Target, if you decide that you want to customize them for your needs, it’s not a big deal to paint over the existing finish or change how the shelves fit. If you don’t still like it in a few years, or if it no longer suits your needs, you’ve only spent fifty or a hundred dollars instead of reworking your entire room. Most pantry cabinets come with pre-set shelf heights. Some are adjustable, but some only have a few options for heights, and if you are storing taller boxes you might not have room when you use the plans that come with your pantry cabinets. This is especially true if you buy a counter height unit. I had this problem and just chose not to install one of the shelves. That meant I only had two shelves instead of three, but it met my needs and I didn’t have to buy the larger cabinet size which would have cost me twice as much money. Pantry cabinets are just as handy for storage outside the kitchen as they are inside it. Because they are almost exactly like wardrobes, they can be really handy in your living room or bedroom. Of course, they don’t have a rail where you can hang you clothes, but you could always buy a separate closet organizer kit to put inside it later. The smaller pantry cabinets also make great shoe storage, and make nice end tables in your living room. You can store your phone book, magazines and toys inside and keep your living room just as tidy as your kitchen.